Due to a production error, our winter All-Herald special section, highlighting our picks for the best players from all of our area winter high school sports teams, was not included in our weekend edition, as planned. Instead, the section can be found in Monday’s issue of The Herald. We apologize for any inconvenience. Copies of the special section will also be available at our office on Monday. 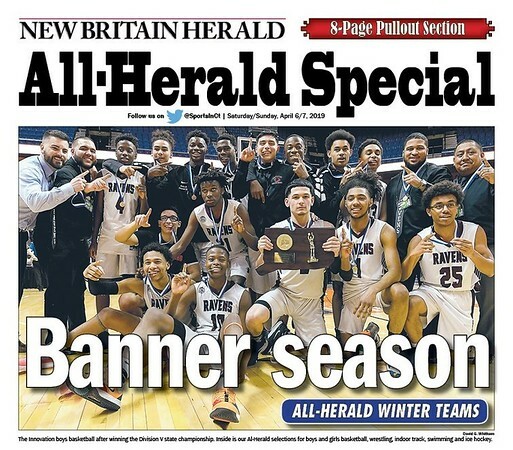 Posted in New Britain Herald, General Sports on Sunday, 7 April 2019 17:53. Updated: Sunday, 7 April 2019 17:55.